2 symbolizes feminine feelings, cooperation, openness, intuition, peacefulness and patience. 2 is the number of perception, which is where major changes are taking place in the human psyche. Our old perceptions of what is real are breaking down as we continue to leave the denial that has always obscured our view of life. 7 symbolizes masculine intellect, introspection, secrets, intuition, and learning. 7 also represents planning, which means thinking ahead, gathering information, visualizing, and assessing what one will need and finding ways to attain it. 7 teaches us the fine art of orchestration. 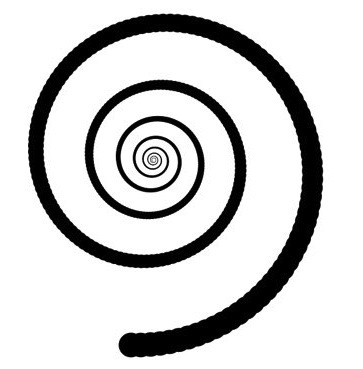 9 is the number of drama, endings, giving, conclusions, deep emotions, and expanded awareness. 9 is the number of letting go of the past by learning what your past experiences had to teach you, by forgiving, and by releasing yourself from inhibition and guilt. Remember that making mistakes is often how we learn. It is only guilt that tells us otherwise and stops us from learning the lesson involved. In the process of healing our emotional wounds, buried feelings rise to the surface, one of which is often the bitter pain of disappointment. Another could be love itself – love that has been denied out of fear of getting hurt. Be patient with the many phases of forgiveness and remember that love can never hurt you. Never. It is only loss of love that hurts – and the fear of that loss. Be honest with yourself about what you are feeling because, under these concentrated numeric conditions, the vibration of your emotions can open your mind to realities you have been unable to accept, and significantly expand your intuitive capabilities. September 27, 2011 is a 22/4 day in the world, (9+9+4=22/4), which is a big power number in this 4 global year. The emphasis is on patience and diplomacy, and the potential to improve conditions for the masses. Of course, political/industrial power-plays, impatience, and opposition to large-scale improvement is also emphasized. This is eye-opening and mind-expanding energy. 4 is the number of system, and we can learn a lot about the system we live in, if we are courageous enough to let go of obsolete understandings, and open enough to receive new insight. 4 is the number of work and how things work. Patient attention to detail is needed. Be sure to re-read your weekly forecast because its influence is magnified at all levels now. In fact, it would be a good idea to read all 9 forecasts and see how they move you, because 9 contains all the other numbers. (1+2+3+4+5+6+7+8=36. 3+6=9). This is a time of enlightenment and understanding through emotional inclusion rather than emotional denial. Allow yourself to FEEL what you’re really feeling. Be specific. Emotion, after all, is one’s inner truth – one’s WILL – trying to express itself. We are all aware of how UN-free the human Will is at this time – and freeing the Will of humanity is our next evolutionary step. This entry was posted in numerology and tagged 22/4, 9 energy, christine delorey, creative numerology, emotional healing, emotions, feelings, inner truth, numerology. Bookmark the permalink. Thank you for this, and congratulations on your bright new blog (at least it’s the first time I’ve seen it!). Having a 27/9 life path, today will be a memorable one. As ever your accuracy is truly inspired. As I have written recently to you, if I am in tune with the infinite then today and then tomorrow (an important meeting – that I am not attending!) may bring the news that is needed for many! As I have said many a time, regretably the Politicians entering into that profession are not always the best. They tend to have other ambitions that does not always come under the heading of “SERVICE” to others. I, like you, would like to see ‘work’ expereinced men and women be able to enter into politics where the Press, or the colour of their skin or the type of School they went to or whether they have money or not, does not deter them. Not the so called trained politician, without any work experience, nor with any Union backing or Local Government experience, or ‘old school tie’ friends either. Politics has to get back to the people. It appears that Government’s in many Western countries are ‘separate’ from the people and it is therefore creating a ‘them & us’ situation. Many Civil Wars were started by this to create these western democracies. Now we are seeing live on television Middle Eastern countries getting rid of dictatorial regimes that have neglected or abused their people for years. Western democracies should watch carefully as history has a habit of repeating itself. TOO MUCH GOVERNMENT, OVER TAXING & OVER EMPLOYED with civil servants and the people will break down any democracy in time. Now we see that many Governments over the least 10 years or so have accepted cheap money, borrowed way too much for their countries wealth and having to spread the vast debt to peoples unable to afford it. Did ROME BURN for less? Balancing the books seems to have been neglected, A WANT IT NOW society has been fed. Now the truth is biting hard. These low Numerology numbers in this new century, this new Millenium will highlight many truths and change many things…hopefully for the better. I have great FAITH that many people across the world will rise into positions of power in their own countries and improve living conditions that, in turn, will raise the living conditions of the poorer countries. I am certain Christine your numerolgy writings will offer further advice from the magical numbers that will be arriving. I will let you know how things go for me over the coming weeks.